Bradford White vs Rheem : Which One Is Bestter? These days, a water heater is no longer considered a necessity, but a luxury in many homes. This is especially during the winter or if you live in an area where it is often cold. Taking a shower can be a constant struggle when the water is cold. Good thing, there are heaters that can heat water in an instant, providing you with a more relaxing shower time. 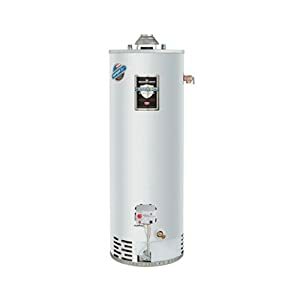 If you are searching for a new water heater, you will possibly be overwhelmed with the abundance of the options that are available. To help you decide which one is better, this Bradford White vs Rheem aims to take a look at two of the most popular brands available in the market, as well as some of their most promising models. Bradford White dates back from as far as 1881. Between the two companies that we are comparing in this post, Bradford White came first. The company is headquartered in Philadelphia, with key manufacturing facilities in different locations. They also have a distribution channel in Canada. Rheem is a company founded in Emeryville, California. It has been around since 1925. With almost a hundred years of existence, it is pretty much easy to understand why it is recognized as one of the top brands in the market. In 1931, the company introduced its first automatic gas storage heater, which has started the company’s reputation in the market. If there is one big difference between the two, it would be the fact that the products of Bradford White are exclusive for wholesale distribution. To add, their products will also require professional installation, which goes to show that its assembly is more complicated compared to the heaters that you can find from Rheem. Looking at the websites of the two brands, it is easy to realize that they both offer a diverse list of products. The two brands have products that are both for residential and commercial heating. They have both gas and electric models. 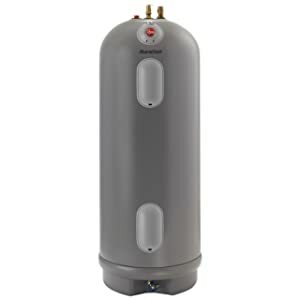 To add, they also offer tank and tankless water heaters, which means that you will have a lot of choices. Nonetheless, the two companies are different in a sense that Rheem has more offerings. One of the most noticeable is that they offer products for cooling, unlike Bradford White, which is exclusive to heaters. To add, Rheem also offers home generators, as well as spa and pool heating. They also have a range of products that are meant to improve indoor air quality. For sure, you want your water heater to be long-lasting. After all, its price is quite high, which is why you should choose one that is built to withstand wear. Looking at the reviews that are available online, Rheem has a better reputation for durability. This is despite the fact that they are made in Mexico, which is one of the company’s strategic initiatives to cut down their production cost. While Bradford White products are made in the United States, one of the problems is that they are usually thinner, which is what the company does to minimize the cost of manufacturing their products. To provide a better look at the two brands, in this section, we will take a look at the top products that hold a lot of promise. To make the comparison fair, we are picking two products with the same capacity – 50 gallons. This is from the company’s High-Efficiency Energy Saving Series. Obviously, the company is marketing this product as energy-efficient, which is the best thing that you can expect from it. Based on the technical specifications, it has an energy factor of .93. The manufacturer developed Hydrojet Total Performance System, which is their exclusive technology responsible for the prevention of sediment build-up. In terms of construction, it comes with a metal tank. A lot may be skeptical, but the manufacturer makes sure that it will be long-lasting, especially because it can resist corrosion. The warranty of this product is one thing that can discourage you from buying. Its standard warranty is only six years. To improve its heating efficiency, the tank is designed with 2-inch foam insulation. There are also heat traps that are installed, which are equally effective in providing thermal insulation to keep the water hot while it is contained in the tank. This model belongs to the Marathon Series. The best thing about this product is perhaps the fact that it has a lifetime warranty, which does a lot to ensure your highest level of satisfaction. Even after a long time of use, you can expect that it will deliver exceptional performance. This is definitely way better than the short warranty that is offered by Bradford White. The product comes with an energy factor of .94, which is not far from what has been earlier mentioned. It has a bowl-shaped bottom, which has the primary function of preventing mineral deposits from hard water. Similar to other products within the same line, the main material that is used in this model is polybutene. The latter is exceptional because it can resist rust and corrosion, which is perhaps the reason why it is meant to deliver lifetime functionality. Since it is made from plastic, it is also lighter in terms of weight and easier to handle compared to those that have a metal tank. This model comes with a thick foam insulation, which is 2.5 inches. This is thicker than what you can find from the model mentioned above. In sum, this Bradford White vs Rheem comparison shows that the two are indeed superior brands. Choosing which one is better is a difficult undertaking. Nonetheless, given the fact that Bradford White requires professional installation and the products are only for wholesale distribution, I would say that Rheem has an advantage for individual or residential users.